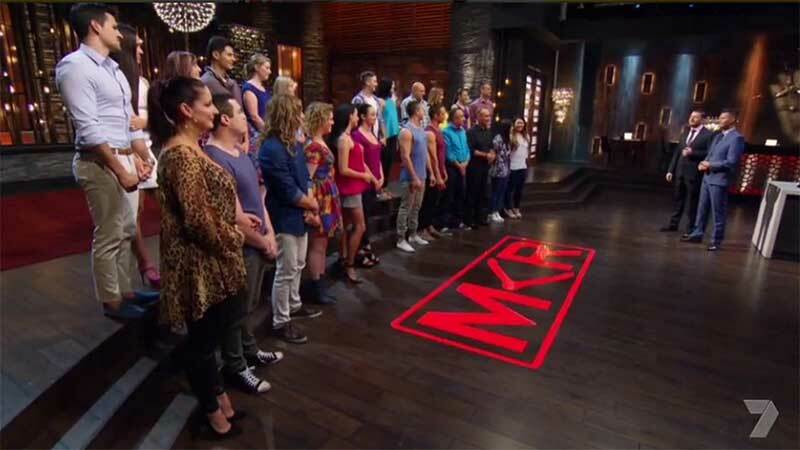 Tonight was the first episode of My Kitchen Rules in 2016. Who are the new contestants? Who is the new judge? It will all be revealed tonight. The first team to cook was Monique and Sarah, police officers from Yellow rock in Western Sydney. The police officers set off to purchase their foods for their menu today. They mention that they are both fiercely competitive. Pete and Manu peruse their menu. For entree there’s caramelised onion, roasted beetroot and goats cheese tart. Main is crispy skin salmon with thrice cooked chips and a lemon and dill sauce. Dessert is sticky date pudding with white chocolate and coconut rum sauce. The girls panic at the shops as they have lost part of their shopping list. They retrace their steps through Coles and end up finding the missing piece of their list. They head back to their house to begin preparation time. They have three and a half hours until the guests arrive. The name of the instant restaurant is Crime and Nourishment and it has been decorated in a Police theme. Preparation time has begun. They are working on the pastry cases for tarts and they are worried that they will not get it ready on time. As Monique and Sarah begin to get themselves dressed and ready the other contestants are shown beginning to arrive. The doorbell rings and the guests are invited inside. It’s time to continue preparing the entree. The beetroot has been chopped and the onions are caramelised. Gianni and Zana introduce themselves as married lawyers from Melbourne. Rosie and Paige are best friends from Adelaide. Mitch and Laura are brother and sister from the Mornington Peninsula. Cheryl and Matt are a couple from Brisbane. Anna and Jordan are mother and son from Western Australia. The doorbell rings and it is Pete and Manu. They are welcomed and sat at the table. Monique and Sarah reveal their menus written with invisible ink and readable by a light at the end of their pen. They went back into the kitchen and finished plating their tarts, placed on a board with balsamic vinegar glaze. Pete and Manu try the dish. Manu was first to comment on the dish. He liked the combination of ingredients, the presentation and the pastry which was nice and crumbly. Pete says there are a couple of little faults with the dish, the glaze should have been on the beetroot and the goats cheese was lost in the tart. The contestants generally enjoy the dish with the exception of Zana who said it wasn’t done very well and she’d rather save the calories. Monique and Sarah return to the kitchen where they are beginning to prepare the thrice cooked chips and the fish. Manu walks into the kitchen but the girls find it very hard to concentrate while he is in there so he leaves again quickly. As they are plating the dish they decide to only put three chips on the plate as they have stacked it on top of the salmon. 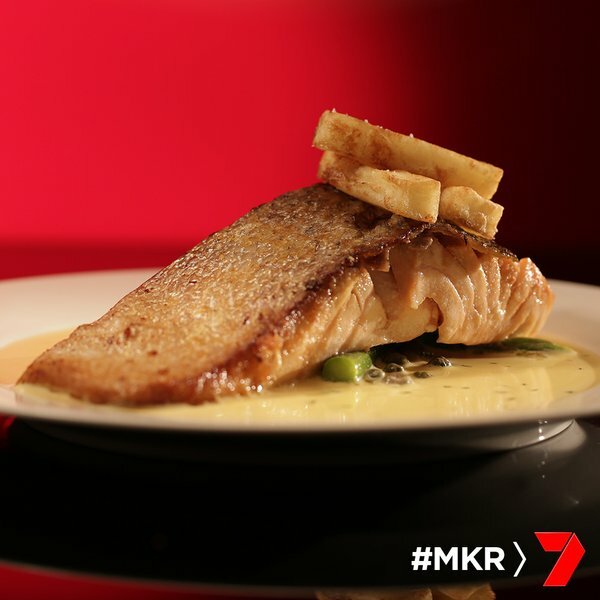 The contestants notice straight away that the piece of salmon is huge but that there is only three chips. Manu comments first that there should be more order in the kitchen. He doesn’t like the sauce as it’s just a cream base. He was quite disappointed with the chips. Pete agreed. The fish was cooked well, he said there is room for improvement. The other contestants enjoy how the salmon is cooked and are happy with the crispy skin. Zana says the chips are soggy and were disappointing. She says the chips she cooks are so much better and her husband agrees. It’s time for dessert. Manu comments that there is too much sauce. He says the dessert was a little too sweet, even though it was fluffy and moist. Pete agrees with Manu. 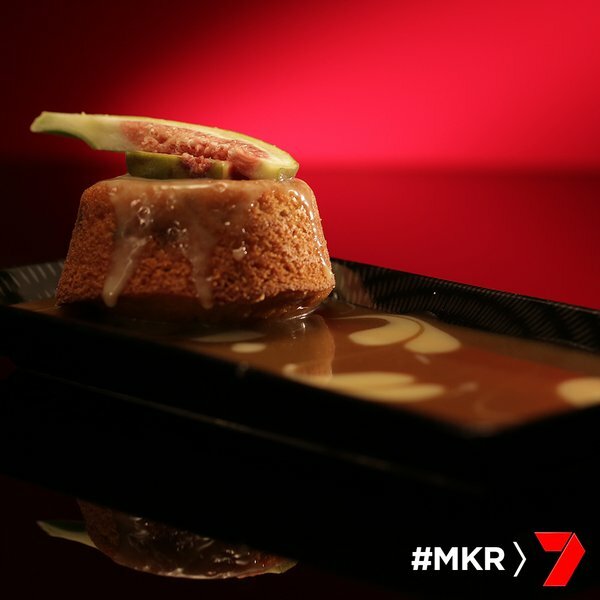 The contestants get to taste their desserts and agree with the judges about there being too much sauce. Now it’s time for the contestants to score the dishes. 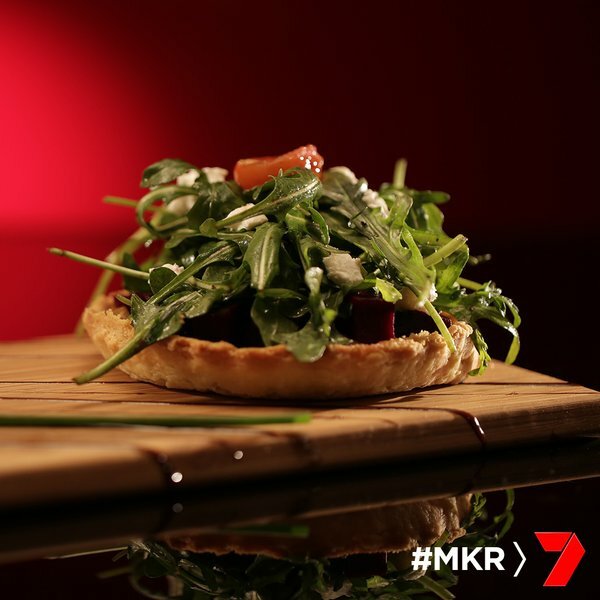 ← Who is the new MKR judge?